Featuring a sleek design equipped with a stunning 6.4” Optic AMOLED 19.5:9 display and in-display fingerprint scanning technology – welcome to the OnePlus 6T. Featuring an in-display optical fingerprint scanner, the OnePlus 6T makes access, recognition, and security seamless. 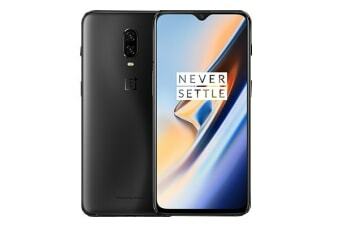 Built with a teardrop notch that minimises front camera cutout for an almost bezel-less 6.4” Optic AMOLED 19.5:9 display, the OnePlus 6T increases screen to body ratio without compromising on brightness and colour. With 256GB storage and 3700mAh battery life, the OnePlus 6T gives you more use out of your phone without the worry of daily battery run-down.